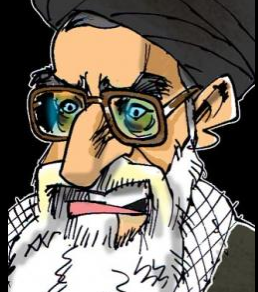 Confidential letter from the East Azerbaijan The Islamic Revolutionary Guard Corps(IRGC) to supreme leader of Iran Ali Khamenei. 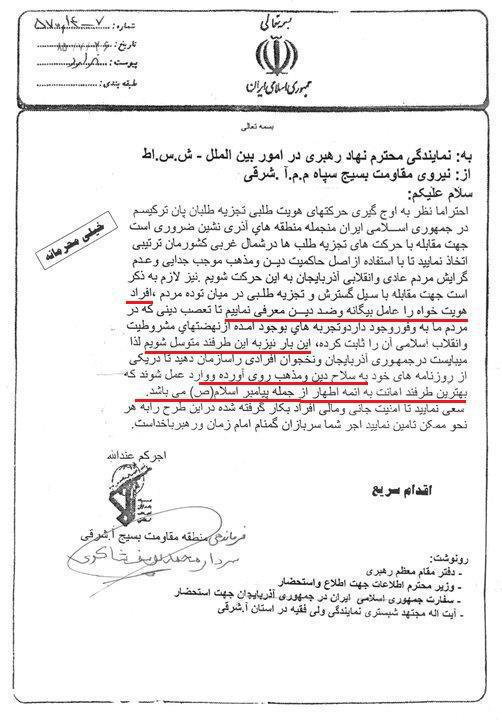 The letter, sent by the East Azerbaijan The Islamic Revolutionary Guard Corps(IRGC) to supreme leader of Iran Ali Khamenei, referred to the use “Enemies of God” (moharebe ba khoda) to eliminate the national movement of Azerbaijan and capture the Azeri activists and brutally torture them to death then their charge them “Enemies of God” (moharebe ba khoda). 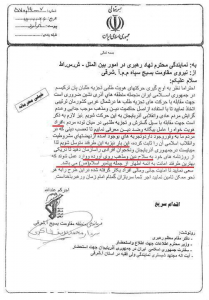 Iranian Ministry of Intelligence threatening Ahwazi Arabs through text messages. Ahwazi Arab cultural activist Hanna Khersaan has been summoned by Ettela’at.